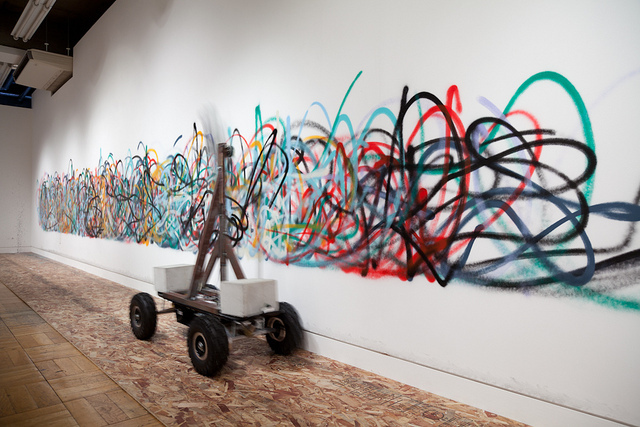 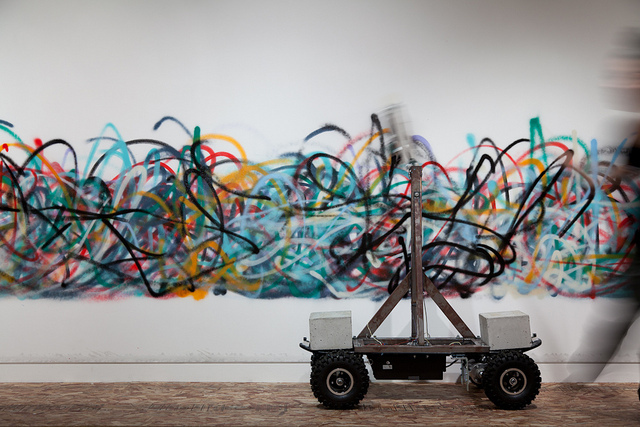 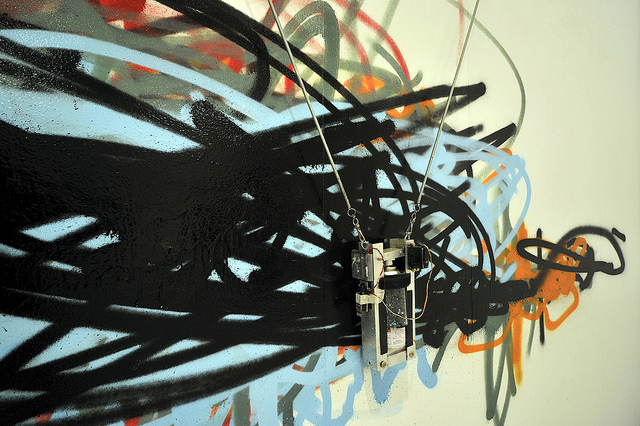 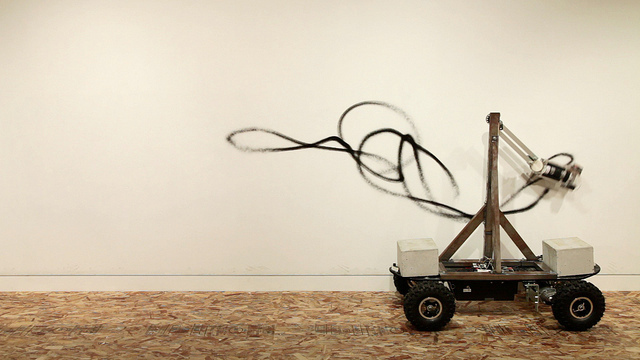 Senseless Drawing Bot is a collaboration project + installation created by So Kanno and Takahiro Yamaguchi. 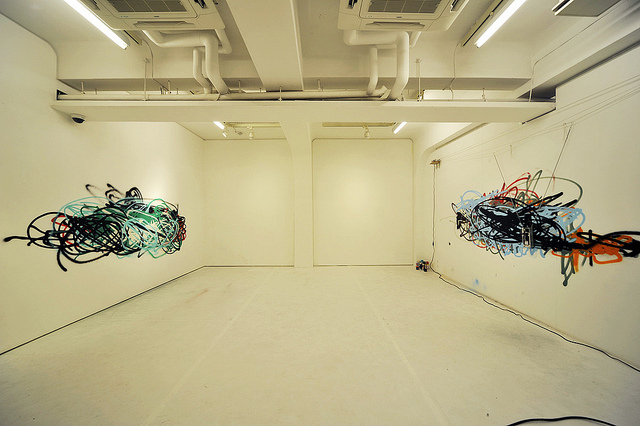 Metal Works Supported by Hitto Asai. 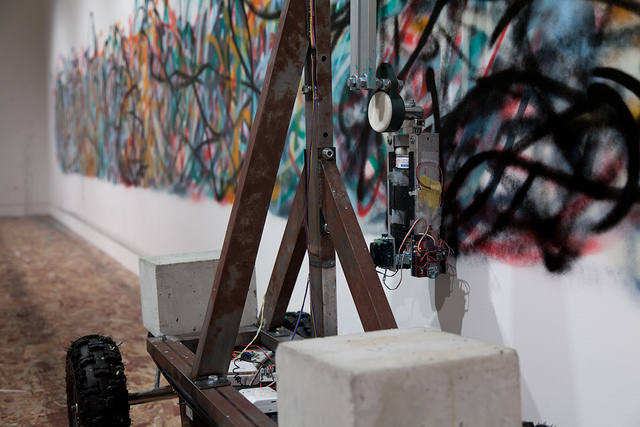 More photos about the exhibition here, about the making of here. 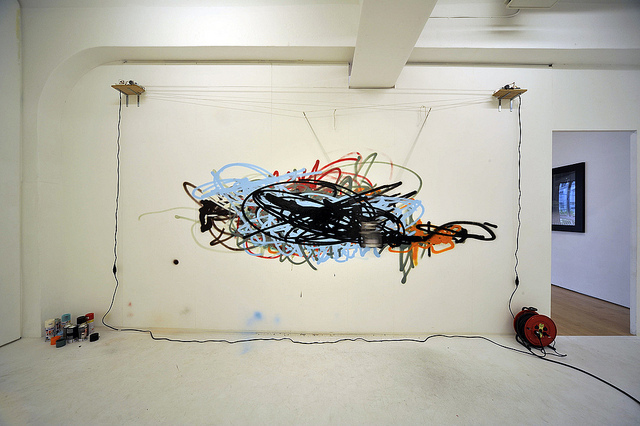 I also liked this another previous similar work by Takahiro Yamaguchi which took place last April at Tokyo Wonder Site Hongo as part of the exhibition "Tokyo Story".